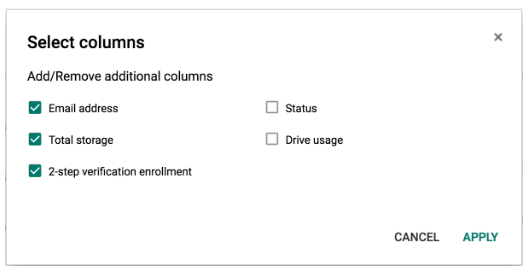 column to the Users page. For more details and instructions, check out the Help Center. In order to deploy two-step verification (2SV) to your organizations, you need to have insight into which end users have and have not enrolled for the feature. Starting today, you can view the real-time status of an individual user’s enrollment in 2SV directly from the user list in the Admin console. To get started, you’ll need to add the 2-step verification enrollment column to the Users page.